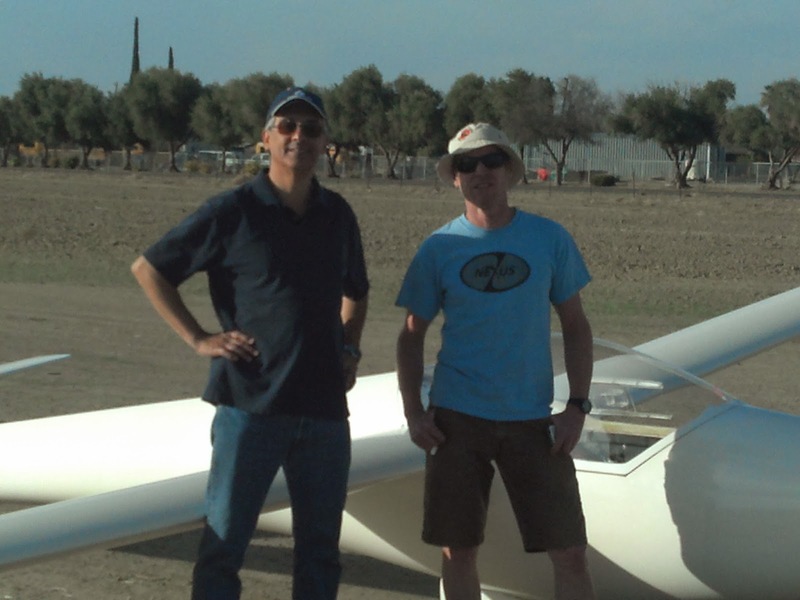 Central California Soaring Association: March 08, 2014 Tow Plane Annualed. Pancho solos Libelle! New member Craig Gifford. March 08, 2014 Tow Plane Annualed. Pancho solos Libelle! New member Craig Gifford. Comment: There was lift, everybody stayed up at least for a while. The tow plane annual was completed today! We had no less than four A&P's working on various sections of the annual. They were assisted by expert bicycle mechanic Pancho Herrera. I'm not sure who was really in charge, but Martin Caskey seemed to bring the most tools to the party. The A&P numbering system below is in the order the pictures were taken, and does not reflect seniority, status, or mechanical aptitude. Pancho Hererra looking for the rear sprocket and derailer. In other action for which I do not have any pictures yet, Steve Kane had a good flight in the 1-26. 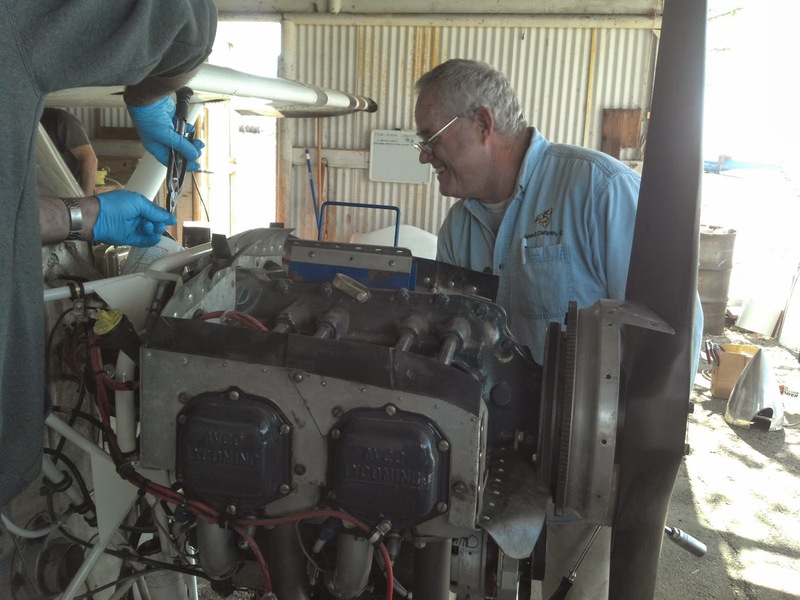 Jeff Richardson was out getting checked out by Larry Johnson on the assembly procedures for the Russia, which he will be soloing in shortly. 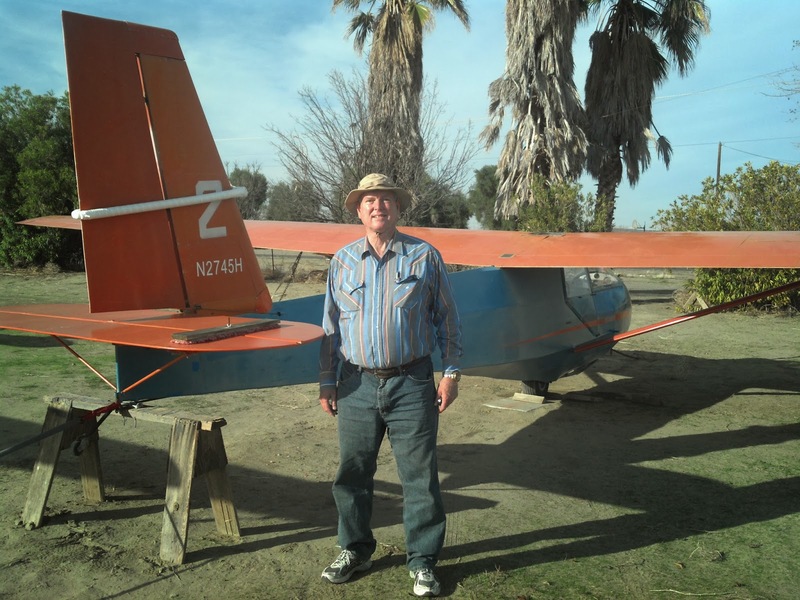 Mike Paoli went up with Harold in the Orange Crush in preparation for Mike's upcoming glider add - on rating check ride with FAA designated examiner Dan Gudgel. Andy Reistetter was up in his Russia, I believe he made 2 flights. On the second one he stayed up for quite a long time. I saw him circling in thermals over the Barn at least 3000ft MSL, or possibly even higher. Peter Sahlberg had the longest flight of the day by far in his 1-35. He was seen at various times all over the place, up by the power lines, over Tar Canyon, SW of the prison and I'm pretty sure he also got the highest altitude of anybody today. 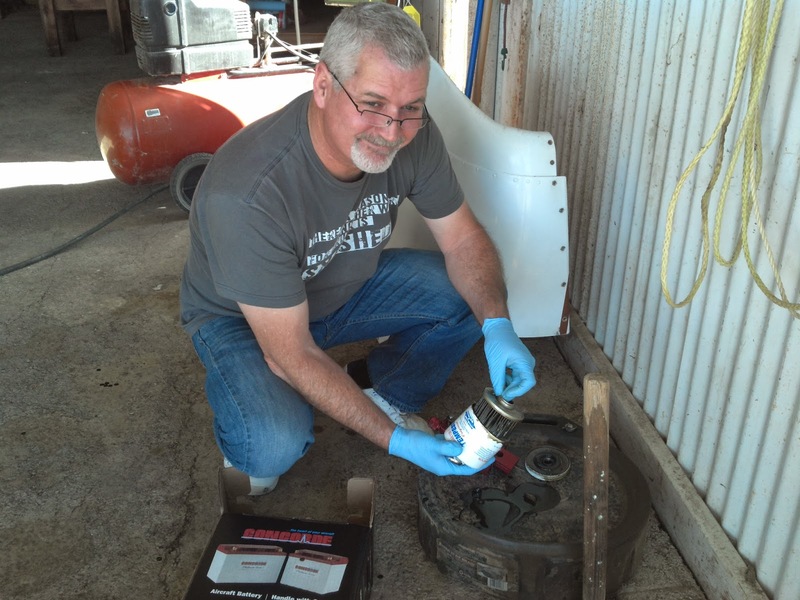 This is our latest new member, Craig Gifford from Bakersfield. 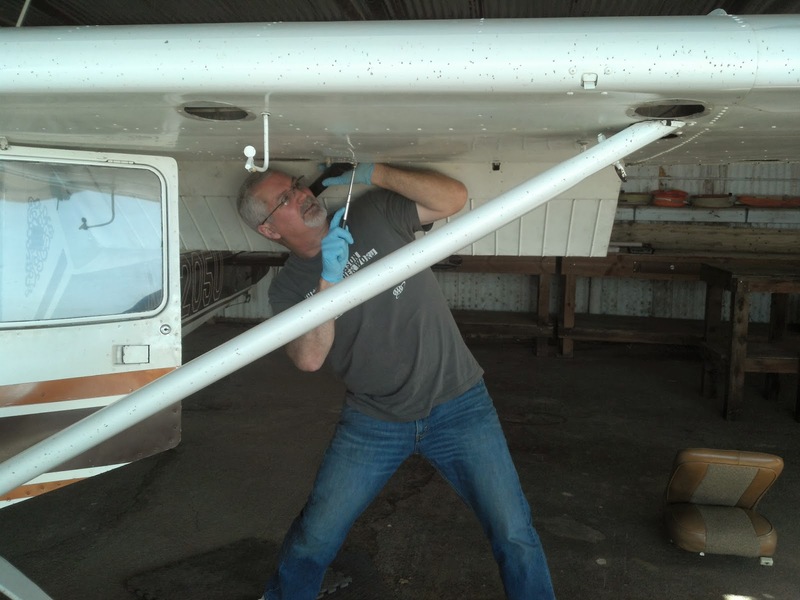 Craig is an instrument rated power pilot. 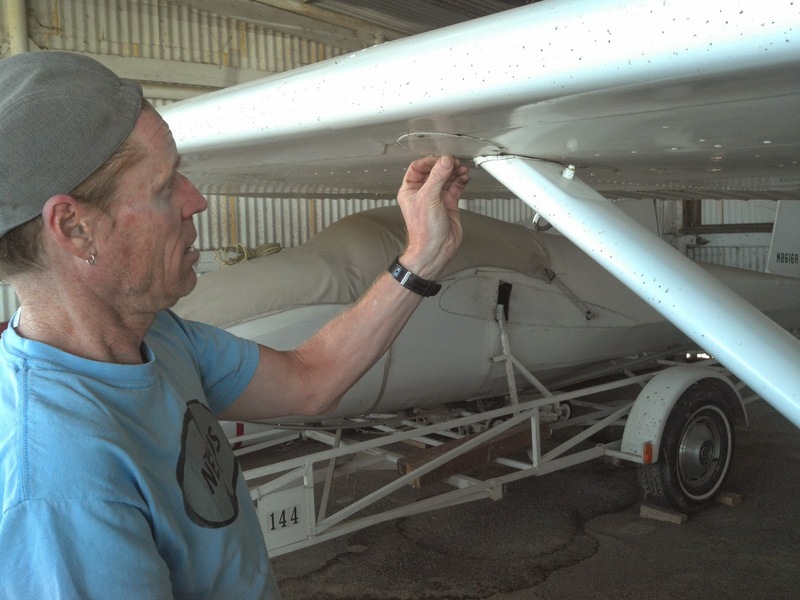 He is also an experienced sailor, and is intrigued by soaring flight. 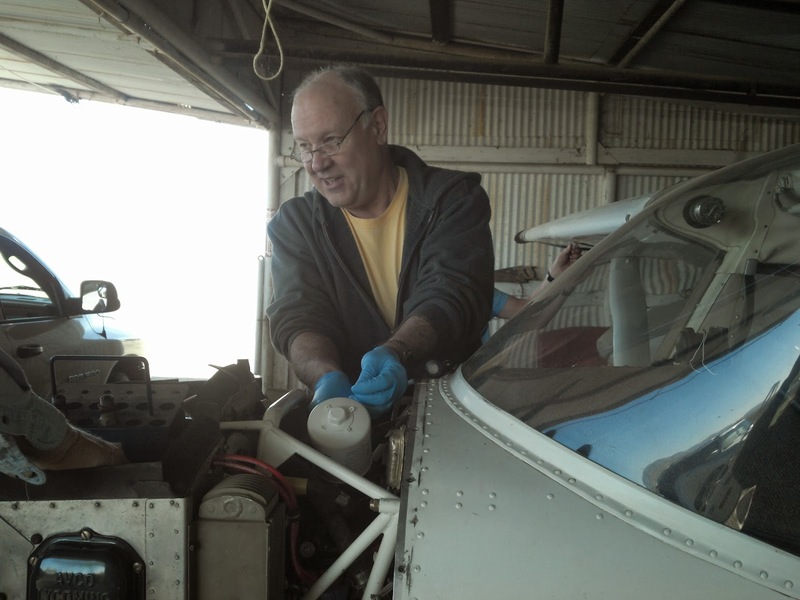 He had been up before in a glider at Tehachapi in an ASK-21 a few years ago. 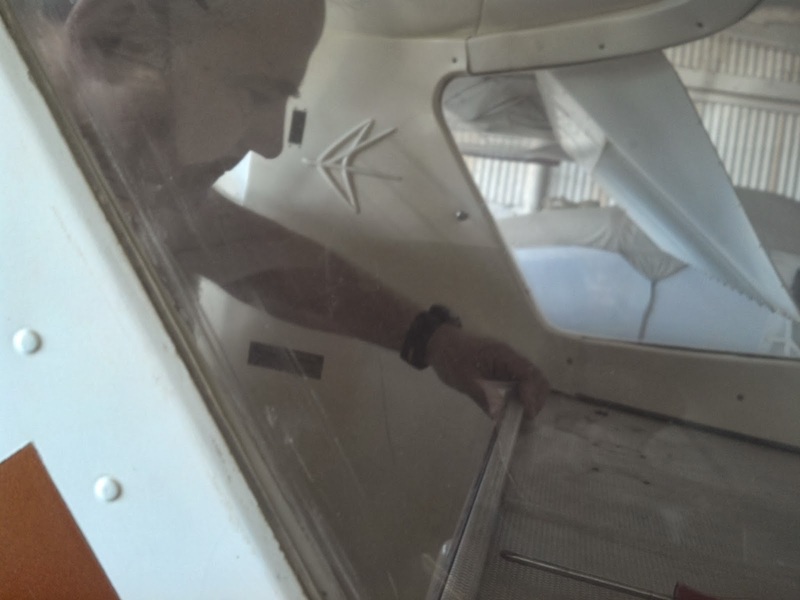 He took an introductory lesson with Alex and stayed up for about 35-40 minutes in spite of having an inoperative variometer, possibly due to rainwater intrusion into the case. He did some stalls, and flew the pattern and landing very well. He then decided to join our club. It will be great to have him as a member of the club! A great story for the day was Pancho soloing in the beautiful Libelle, "4M", that he and Jerry Badal are now partners in. They have been working hard on it for some time to get it back in the air after a couple of year's layoff from flying status. Today was the payoff for them, as Jerry got back in the air in the glider, and Pancho then soloed the glider for the first time. He did great, having no problems at all, and was really stoked when he got down after a great landing. Here's a post Pancho's landing picture of partners Jerry and Pancho. We also caught Pancho's take off on a short video down below that.